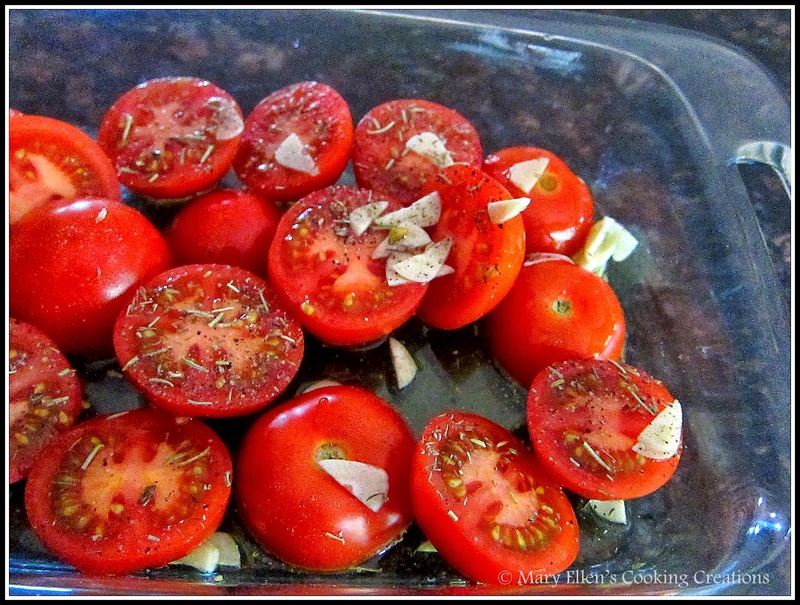 Sadly, the local tomato season is officially over. 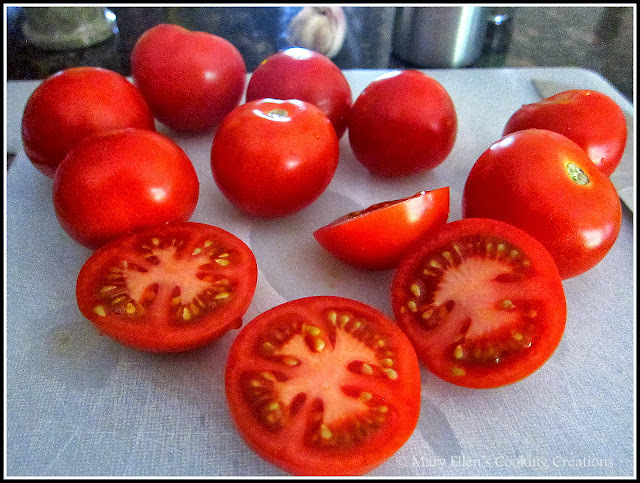 I still need my tomato fix though so in the fall and winter months I will buy Campari or vine-ripened tomatoes when I can find them on sale. Both are on the smaller side, but perfectly red and juicy. My store had Campari tomatoes BOGO a few weeks ago, so I picked up 2 packages. 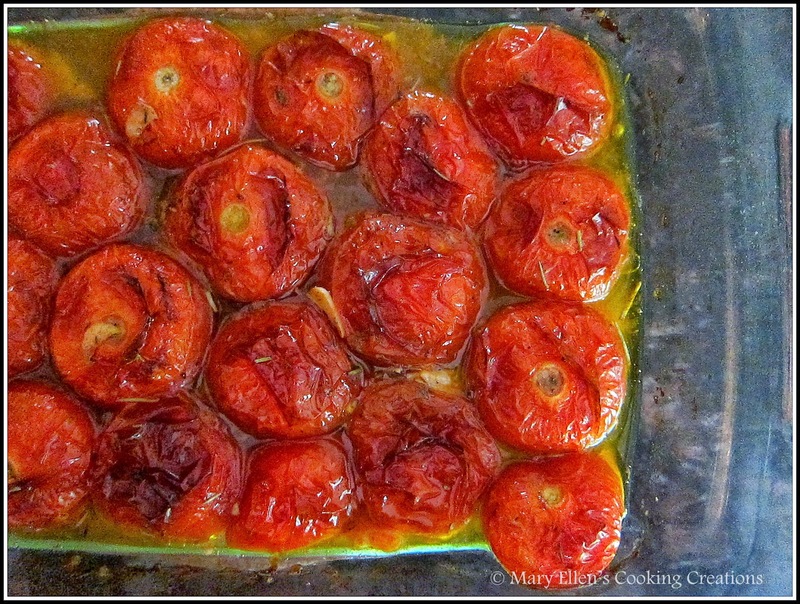 I thought about making stewed tomatoes, but then came across David Lebovitz's recipe for Oven Roasted Tomatoes. His pictures were enough to convince me that I needed to make these! These tomatoes roast for a while in the oven - 2 hours, low and slow. After roasting for so long, the garlic is soft and sweet, and the skins slide right off the tomatoes which was perfect for my little one. I used dried herbs instead of fresh because it's what I had on hand. We enjoyed these as a side, but I'd also love to do what David did and put them over a toasted baguette topped with some sort of crumbled cheese. That alone would be the perfect dinner for me. Just add wine.